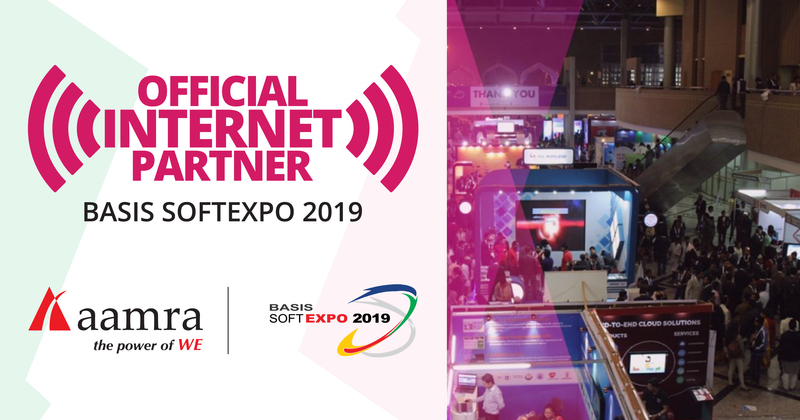 aamra companies is the Official Internet Partner for the 15th BASIS SOFTEXPO 2019 being held at the International Convention City Bashundhara (ICCB) from March 19 to 21, 2019. The BASIS SOFTEXPO is the largest private sector exposition aimed at showcasing IT and ITES products and services in Bangladesh. The three-day event this year is anticipated to be a congregation of ICT companies, personalities, key policy makers, industry leaders and other ICT stakeholders. aamra shall provide free internet and WiFi connectivity for exhibitors, organizers and live stream support at the event. At aamra we take pride in our affiliation with BASIS Corporation and the opportunity to be a part of this empowering movement.